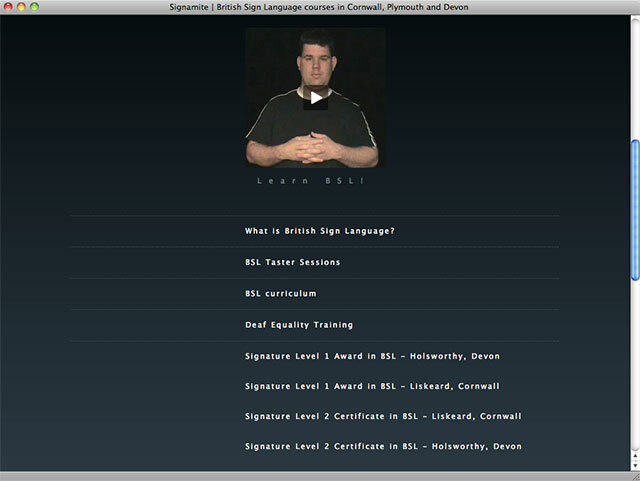 Another all-in-one-page website to help Ryan Swart promote his BSL teaching courses. A website for a BSL Teacher. 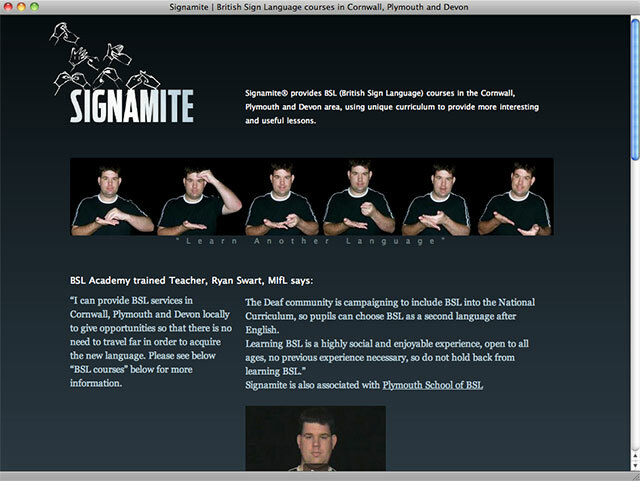 Signamite provides BSL (British Sign Language) courses in the Cornwall area, using the British Deaf Association’s unique curriculum to provide more interesting and useful lessons.